Kitsh Me Quick! 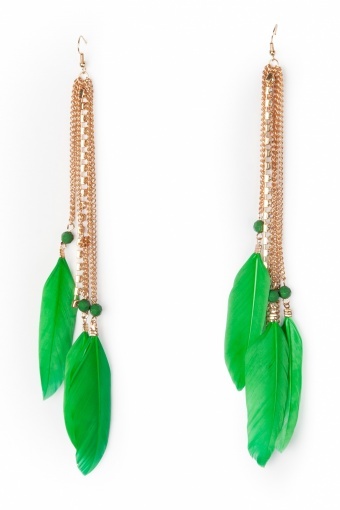 Green Feathers and Tassels earrings. Kitshy but cute earpendants in warm rose toned gold colour. With tassels and green feathers, little beads in matching green and one tassel with square shiny rhinestones. Also available in cream.